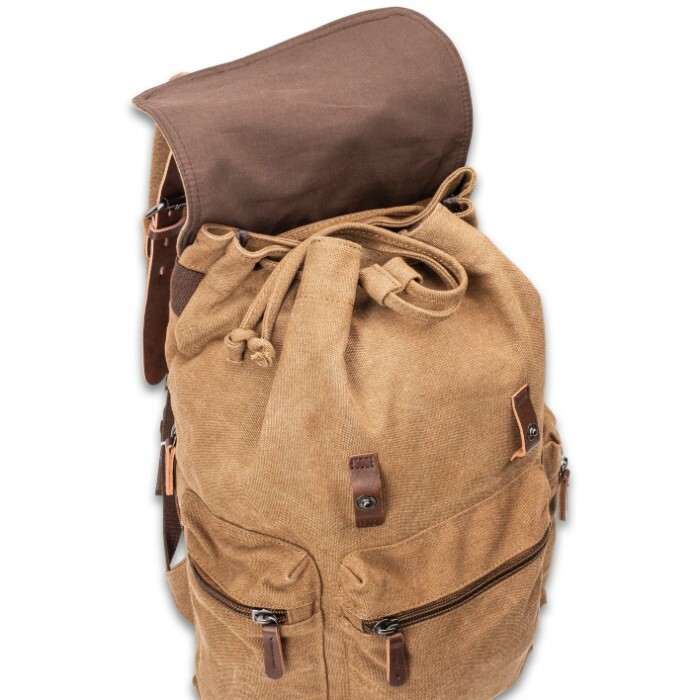 Outback Traveler Rucksack - Canvas Construction, Soft Lining, Spacious Interior, Leather Accents, Multiple Pockets, Metal Hardware | BUDK.com - Knives & Swords At The Lowest Prices! Our Outback Traveler collection was designed with the seasoned traveler in mind, offering a travel tough construction with a travel professional appearance. Each piece allows you to tackle a completely, organized packing strategy, which lets you carry all the essentials on your travel excursions with complete ease and accessibility. 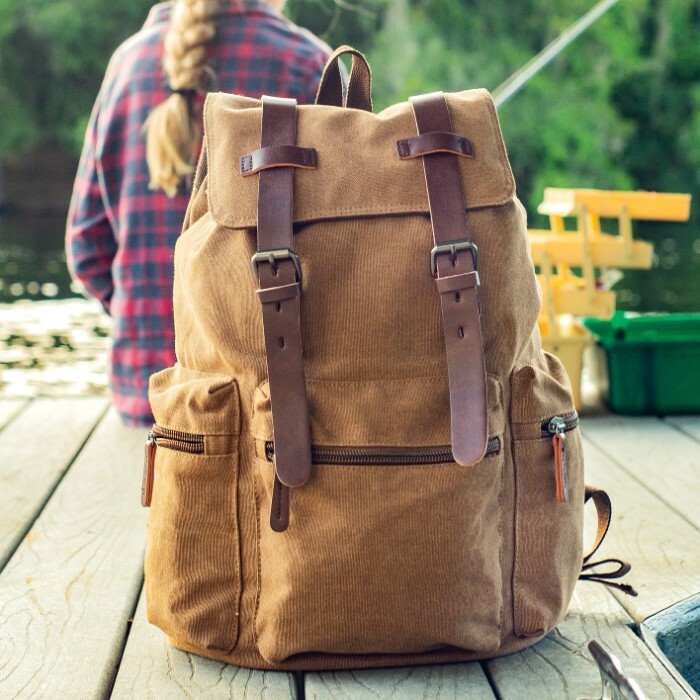 The Traveler Rucksack has a brown canvas construction with a classic weathered look but when you open it up, the inside has a luxe soft, lining that is easy on your clothes and valuables. 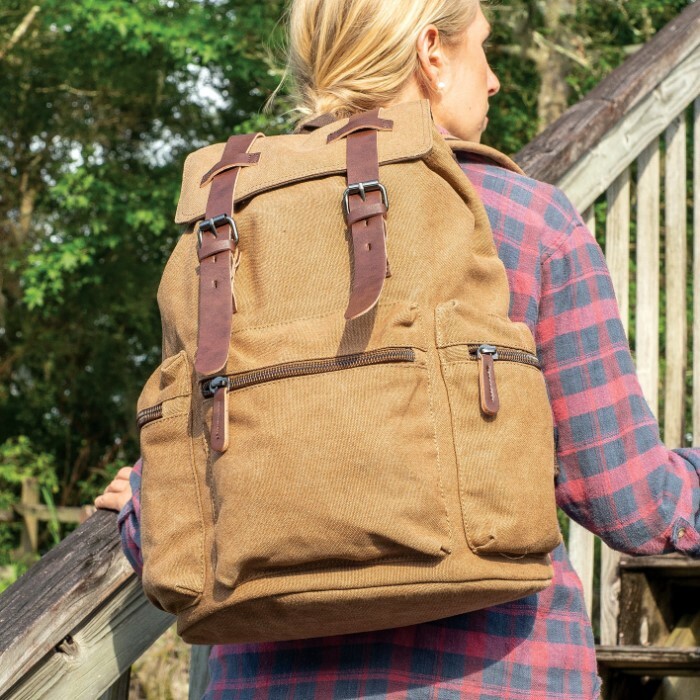 Premium leather accents like straps and zipper pulls complement the weathered canvas, adding to the bag’s visual appeal and the heavy-duty metal buckles and sturdy zippers keep everything secure. The rucksack has a spacious main compartment with two small interior pockets and a padded laptop or tablet pocket with a Velcro closure. There are two zippered pockets on the front, one on the side and a shallow, slip-in zippered pocket on the back of the bag. 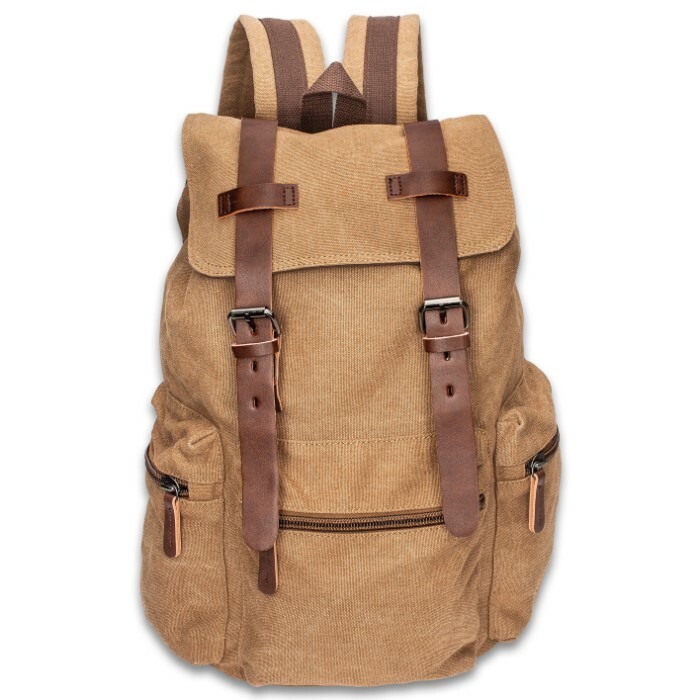 It also has adjustable padded shoulder straps for comfortable carrying. Make sure to take a look at the rest of the Outback Traveler line to ensure your set is complete. This is my 3rd time trying to post a review. Hope this one works. 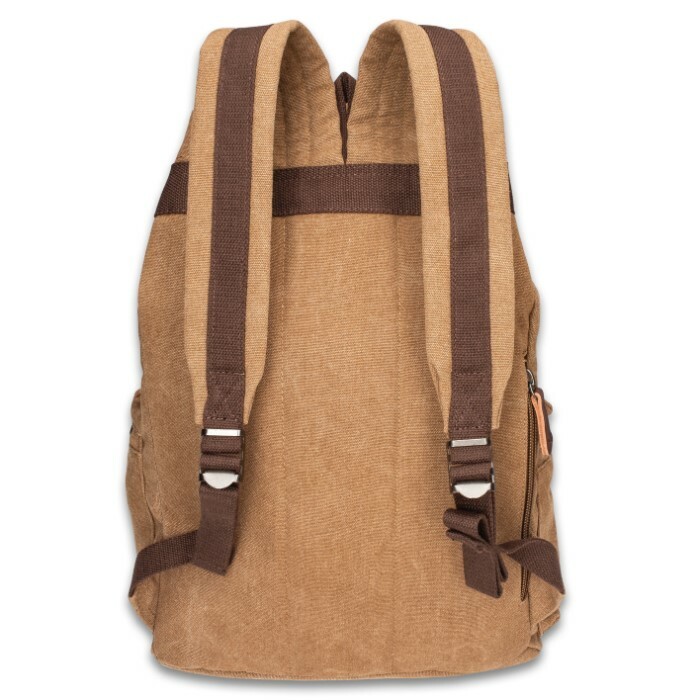 The Rucksack is Great! Was really surprised at the Heavy duty canvas and soft thick lining. It also has 3 inside pockets. Cell phone, wallet and tablet. The big surprise was the back side pocket for my passport or whatever. It's real leather buckles and clasps. Plus very thick carrying straps. I gave it a 4 star because I did not see if it was water proof. I can get some tent spray or just order a backpack cover for when it does rain. I am saving my money for the matching Duffel bag for traveling. CHKadel this company is a keeper. Get as many products from them as you can. Very high quality product. Buy it!